As a parent, your job is to protect and provide a safe environment for your children. You've probably made sure your car is safe, and you may have installed safety devices throughout your home to make sure little fingers don't get into cabinets with chemicals or smashed in a door. However, have you ever thought about the air quality in your home? Poor indoor air quality can trigger or exacerbate a host of ailments in children, including asthma and respiratory infections. According to Environmental Protection Agency (EPA) studies, indoor air can be more polluted than air that is outside, and this problem can be magnified during the winter months when windows remain shut. However, there are some easy things you can do to both identify and fix indoor air quality problems for a healthier family. Maintaining the proper humidity inside your home is crucial to keeping your kids healthy. When your home is too humid or too dry, it becomes a breeding ground for mold and dust mites. According to the CDC, mold has been correlated with a variety of upper respiratory illnesses in otherwise healthy children. If you find yourself or your child coughing, sneezing, or suffering from cold-like symptoms, you may have mold in your home. Deal with an excess of moisture, and you'll substantially inhibit the growth of mold and have a healthier household. Dehumidifiers are a great option for controlling the moisture in your home in order to get rid of dust mites, mold and mildew. Set your dehumidifier to between 35% to 50%, and make sure that you consistently empty the receptacle bucket and clean the unit. If your entire house tends to be damper than normal, a whole home dehumidifier that works with your heating and cooling system is ideal. You may need a humidifier during the winter months to help protect dry skin and prevent irritation from overly dry air. Also, humidifiers are a tried and true help for congested children, especially at night. If you have use a humidifier, make sure to note that cool mist and ultrasonic types have been associated with dispersing higher levels of minerals and microorganisms into the air, especially when used improperly or not regularly cleaned, according to the EPA. A whole home humidifier, if your house is particularly dry, or a steam humidifier (for a sick child or just one room), is ideal. The kitchen and bathroom are prime targets for too much moisture. Make sure that the fans in these areas are working and replace or clean filters frequently to prevent the growth of mold and mildew. Clean with natural products and wipe your shower and sink daily with a lint-free cloth to help dry moisture. Consider letting the kids help you do that little chore - it only takes a few minutes and it can significantly reduce the amount of potential mold spores. Ventilation can be a huge problem with indoor air quality. Not only do improperly ventilated homes encourage the growth of mold, they also allow for the build up of 'off gases' and other known irritants. For this reason, it's extremely important to keep your house ventilated. While it seems to be common sense to open a window or a door, that's not always possible, especially in the winter months. Consider obtaining a ventilating system that will work with your indoor heating system. Look for something that is designed to pull pollutants out of your home and allow fresh air in without changing the temperature of your home. You will also want to find a ventilation system that is energy efficient so that your home heating and cooling system isn't working double time. While you may need some of these things in your home, check labels and look for environmentally friendly and formaldehyde free furnishings. If your child is especially prone to asthma, allergies or respiratory issues, cleaning your air with an air purifier might be the way to go to ensure your home is as comfortable and as safe as possible. UVGI Purifiers use ultra-violet light to get rid of biological pollutants such as viruses, bacteria and airborne molds. They should be used in conjunction with a filtration system. PCO Cleaners use UV light along with a catalyst to convert gaseous particles to harmless substances. They cannot remove particles like dust mites or mold from the air. Ozone Generators are sometimes sold as air purifiers. The EPA points out that Ozone is a known lung irritant and consequently, this type of air purifier should be avoided. In addition to air purifiers, you should also make sure that your HV/AC system has a properly fitted filter. 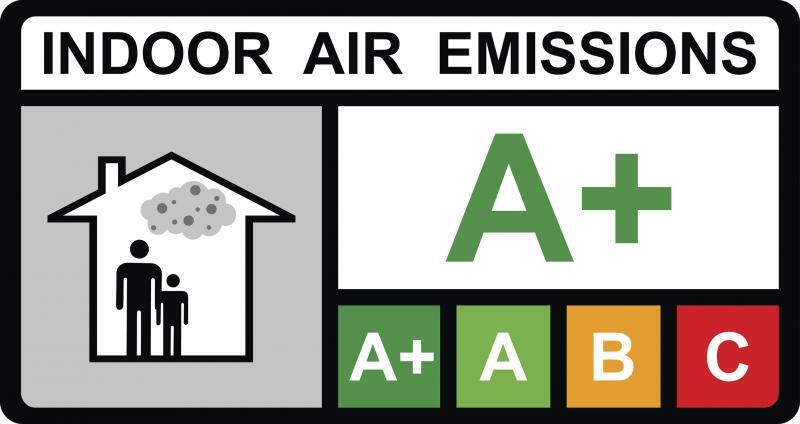 The EPA points out that an air filter with a MERV between 7 and 13 is likely to be as effective as a HEPA filter. Either way, these vital pieces of equipment remove particles from your home in the duct system. With kids, especially little ones, it's hard to keep a spotless home. However, know that keeping a clean home will help reduce air pollutants significantly and may even prevent some health problems. Another added benefit of cleaning frequently and naturally is that you can enlist little hands to help. When you're cleaning, skip chemicals that can give 'off gases' and instead opt for natural cleaners. Baking soda and vinegar clean practically anything and are a great alternative to a lot of chemical-based cleaners. If you have to clean with something stronger, open the windows and ventilate your room well. Microfiber cloths are great for picking up dust without the use of dusting sprays which may irritate the respiratory tract. Pick up a supply of these and use them to dust. 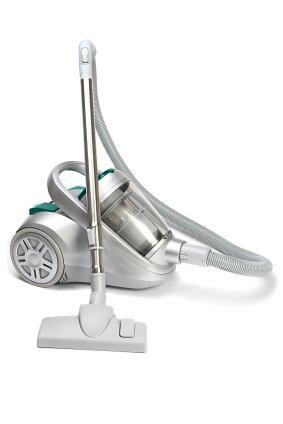 Use a bagless vacuum to help keep dust off the floor and prevent it from coming back into the room. Don't track in your dirt! Use welcome mats and enlist a shoeless policy inside the house to help keep pollutants outside rather than letting your kids bring them in on their shoes. According to the CDC, secondhand smoke contains about 7000 chemicals, 70 of which are known carcinogens. In addition, the EPA points out that secondhand smoke is especially dangerous to children because their lungs are still developing and because they breathe in more air than adults do. In addition, secondhand smoke increases the risk of SIDS (Sudden Infant Death Syndrome), and can cause asthma. If you want truly clean air for your children to breathe, don't allow anyone to smoke inside your home. Indoor pollution is insidious because it can't be seen. However, know that your efforts in reducing indoor pollution in your house can help the ones you love most. By properly ventilating your house, making sure that you avoid chemicals when possible, and controlling any mold or mildew issues, your family can rest easy breathing clean air. This is a sponsored article written on behalf of Lennox. The opinions and text are those of the author, as provided for LoveToKnow.com.